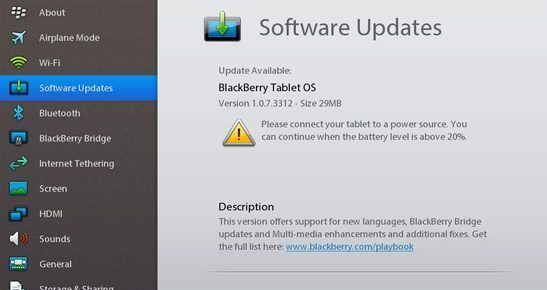 BlackBerry has pushed an update for all BlackBerry PlayBooks, which brings the OS to v1.0.7.3312. The 29MB update can be downloaded OTA (Over-The-Air) contains a security fix for Flash and has an updated version of Adobe Flash Player. So go ahead and update your PlayBook now.